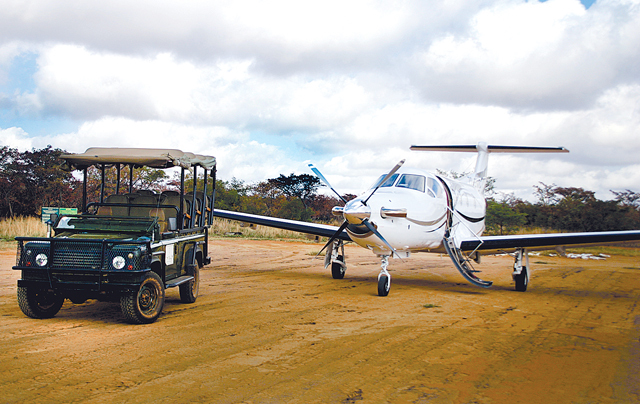 Time-poor travellers looking for the best bang for their buck rank value highest when making their transport choice for a business charter or tourist charter. And by value we mean everything from cost, comfort, personal service and safety to in-flight technology and time efficiency. Swift Flite has the fleet to satisfy those needs. 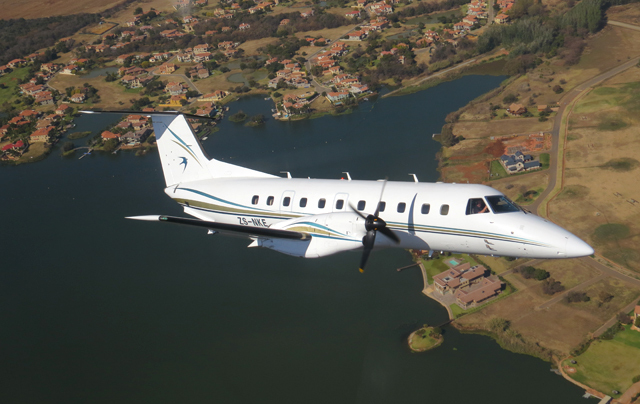 No matter whether executives are travelling for business or leisure, they appreciate the convenience, reliability and cost savings associated with chartering a turboprop plane. 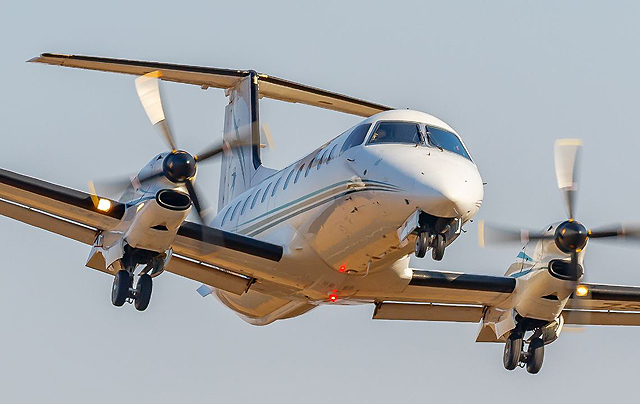 Because turboprops use much less fuel than regular jets, they are also the economical choice for short-distance air travel. For this segment, time is money and opting for a business charter or tourist charter is undoubtedly the smart choice – you’ll save on both. 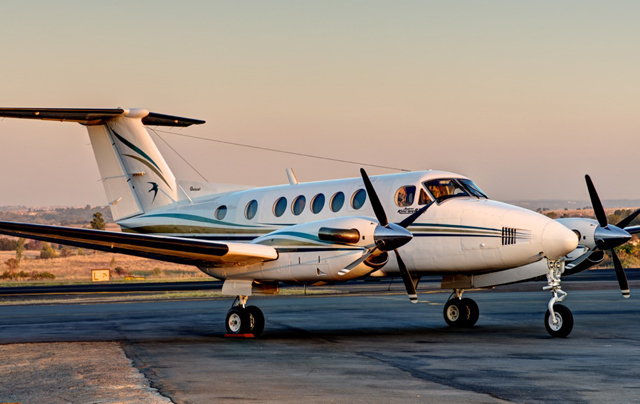 Consider your options travelling by turboprop charter vs a commercial flight from Johannesburg, South Africa to Maputo, Mozambique for example. 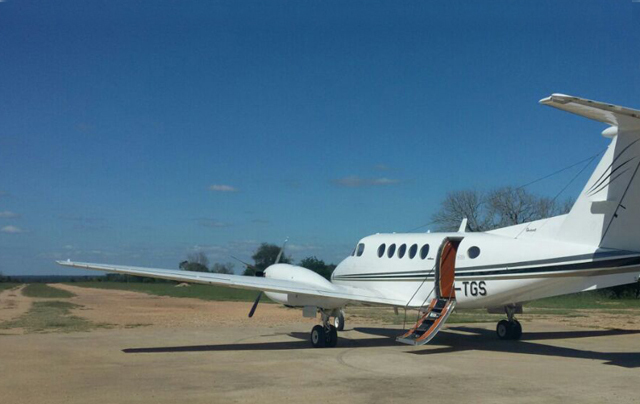 A private charter with Swift Flite will take one hour and four minutes once airborne. 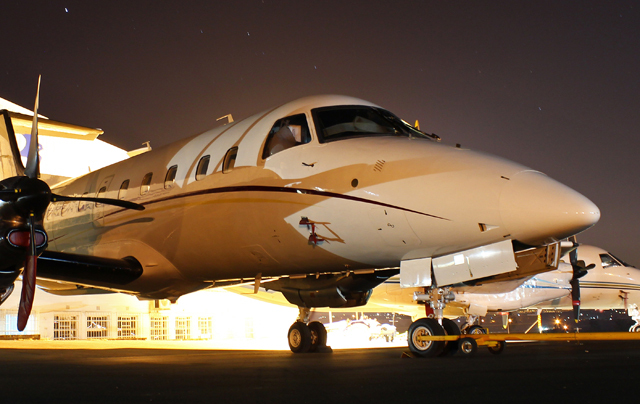 It’s quick and safe and gets you to your destination in a fraction of the time of a commercial flight. Go main stream, and you’re looking at four hours, easily, after factoring in check-in time regulations, waiting for security, waiting to board, the flight itself, waiting to disembark, distance to travel to final destination, etc. Convenience also counts. 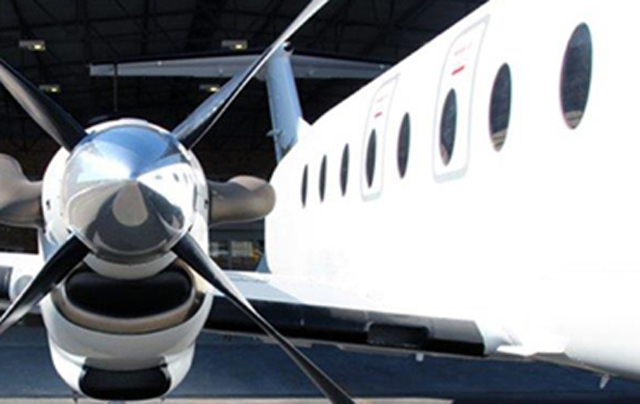 With a turboprop charter you can fly when and where you need to, very often saving time and money. Saving time means maintaining optimum productivity, particularly for top earners on a business trip, or maximising downtime if the intention is leisure travel. The Brazilian-made Embraer 120 in the Swift Flite hangar is a twin-engine turboprop custom built for short, regional routes. 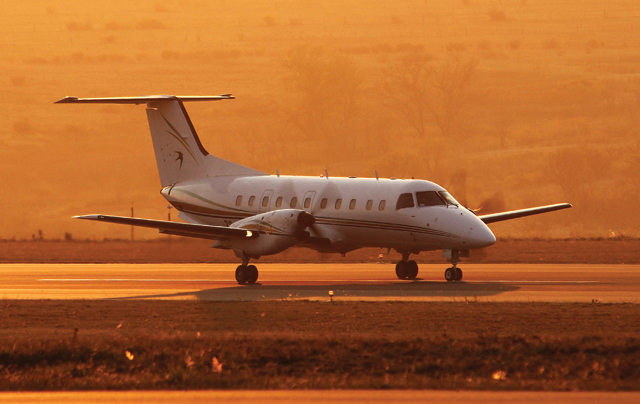 It forms part of a range of award-winning executive aircraft produced by Embraer. 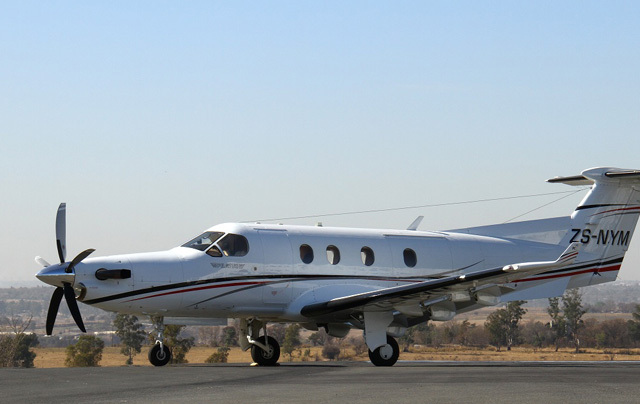 Designed to carry 30 passengers, it is fuel efficient and therefore cost effective for flights between airports in South Africa, into Africa and to airport landing strips at key business and tourist charter destinations on the continent. It can reach an average speed of 580km/h. 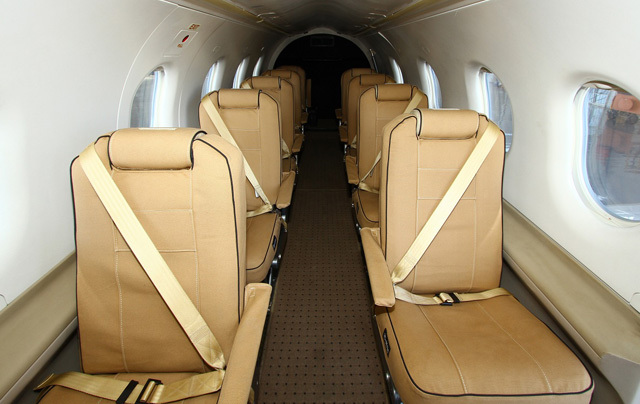 With cabin amenities usually associated with an airliner, the Embraer 120 has an advantage when it comes to carry-on baggage. Luggage compartments overhead and under the seat can accommodate a variety of shapes and sizes of hand baggage. 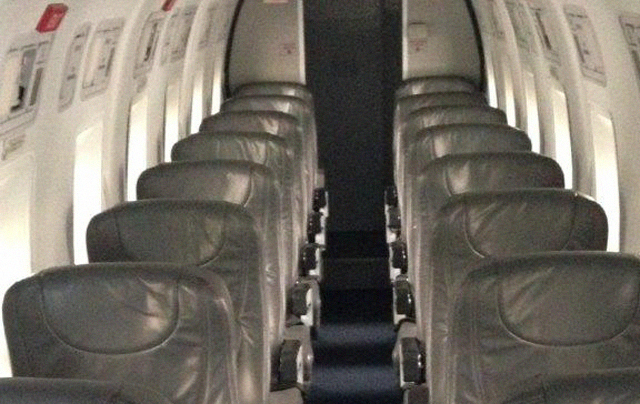 The Embraer 120 also has more head and leg room than most other aircraft in this category. 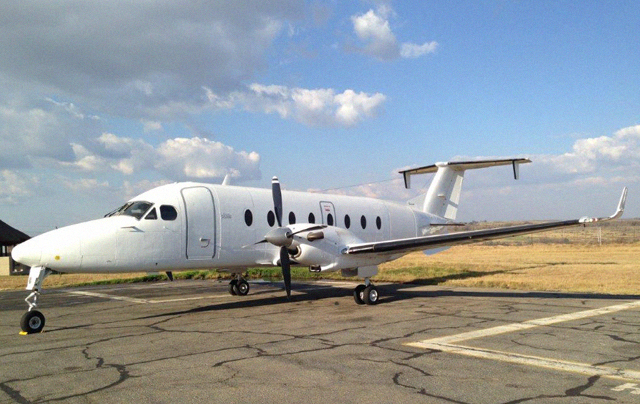 The Beechcraft 1900D is described as one of the most popular 19-passenger aircrafts ever designed for the business charter market. Manufactured in the US, it is particularly sought-after among Swift Flite clients who need to travel between airports with relatively short runways. 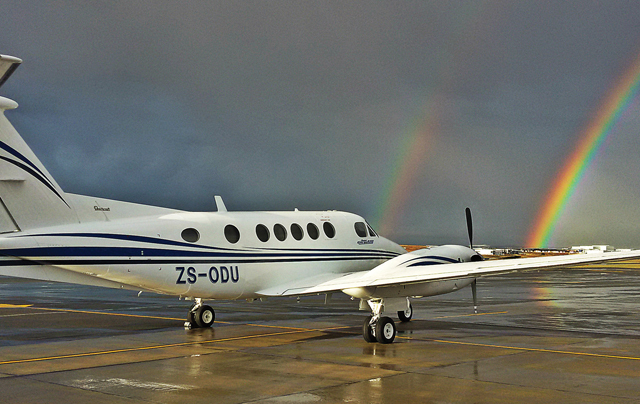 Swift Flite’s pressurised twin-engine, fixed-wing Beechcraft 1900D turboprop is designed to transport passengers safely and comfortably in all weather conditions. It can reach a maximum cruising speed of 440km/h. 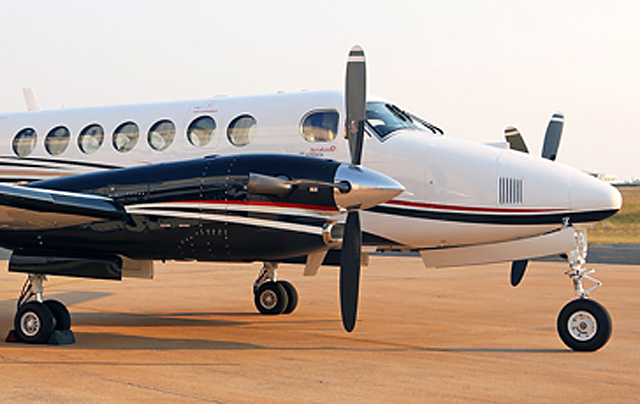 Passengers who opt for the King Air 350 for a business or tourist charter can enjoy superior levels of comfort typically associated with the Beechcraft line. 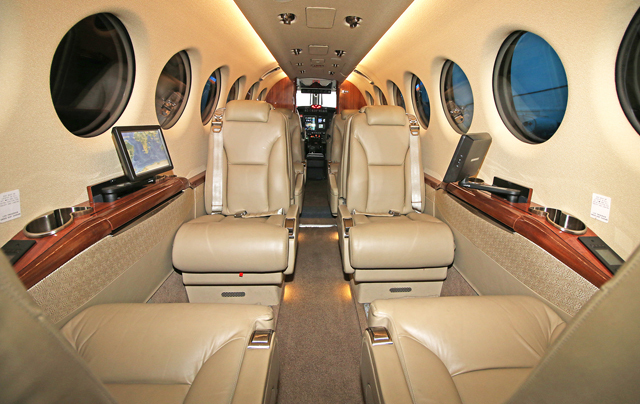 The King Air 350’s carefully crafted leather seats are designed with generous head and shoulder room, and positioned in such a way that passengers are able to move easily around the cabin during long-distance journeys. In addition, the aircraft’s club-style seating with work tables offers passengers a comfortable working surface or an attractive dining option. It can achieve a higher-than-usual cruise speed of 550km/h, making it possible to reach your destination faster. 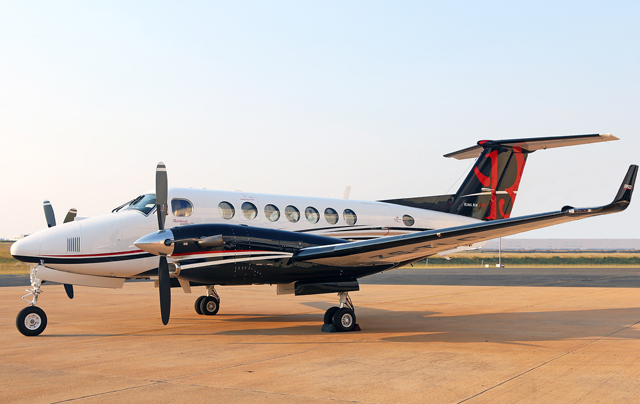 The King Air 200 by Beechcraft, which seats seven to 10 passengers, takes the pain out of air travel by making it possible for clients to avoid the well-known inconveniences associated with scheduled commercial flights. 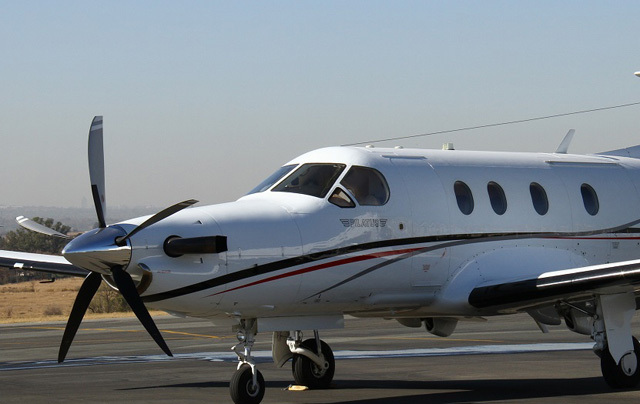 Those who opt for a business or tourist charter through Swift Flite can walk on to the turboprop without fuss and disembark with just as much ease after enjoying a comfortable flight. 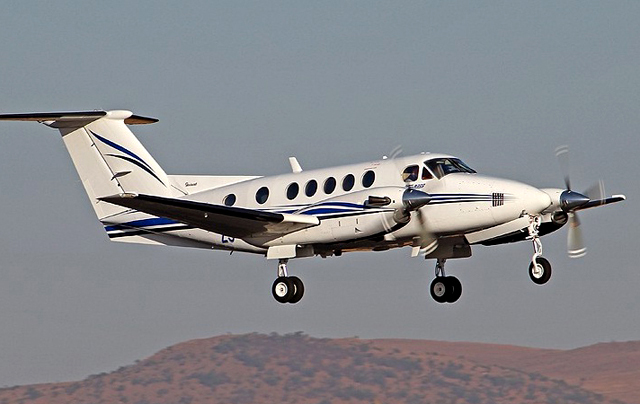 The King Air 200 is known for its excellent cruise performance as high as 27 000 feet if necessary to avoid inclement weather as well as its impressive take-off and short-field landing abilities. Faced with a grass or gravel airfield? The King Air 200 can handle that too. The eight- to nine-seater Pilatus PC12 is the world’s best-selling single-engine turboprop, after 91 aircraft were delivered to customers in 2016. 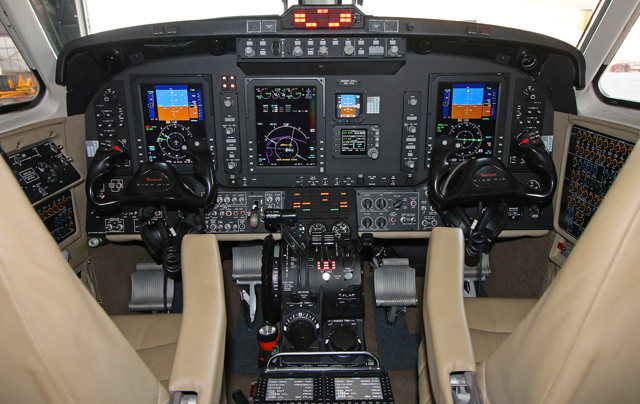 With its ability to handle short take-offs and landings, the PC-12 can get you closer to your destination. 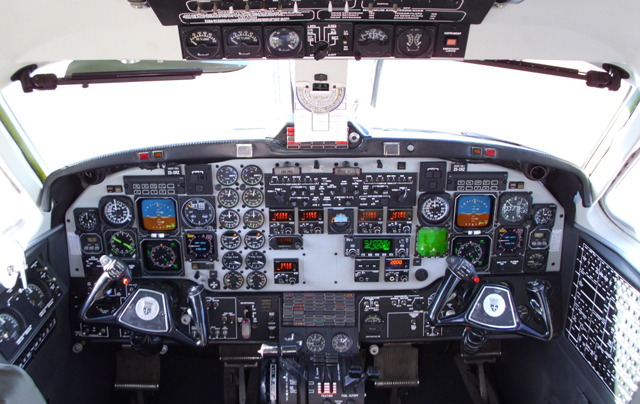 This turbine-powered aircraft is highly rated for efficiency, comfort, performance, versatility, safety and resale value. It has a spacious, comfortable cabin, high loading capacity and large cargo door which means it is a popular option for business transport or cargo flights.